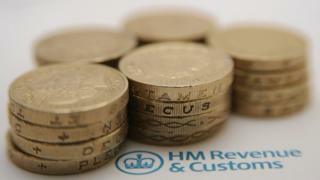 Calls from con artists pretending to be from HM Revenue and Customs have more than doubled, a police force has said. Scammers claim taxes are owed and the victim will be taken to court, or that police are on their way to arrest them, Cleveland Police said. They say payment with music vouchers will stop the legal action and can be "very persuasive and forceful". There have been 43 cases so far this year, compared with 19 in the same period last year, the force said. Insp Steve Bell said no legitimate organisation would "ask for payment in the form of iTunes vouchers". Although the number of scam attempts has increased, the amount of money lost has dropped from £15,000 to £2,484. "This suggests that, whilst the scam has become more prominent this year, victims have become more aware of it and have been vigilant and cautious," a Cleveland Police spokesperson said.